Would Trump Nuking North Korea 'Make America Great Again'? The war of words between North Korean leader Kim Jong Un and US President Donald J. Trump has suddenly taken a very foreboding turn, with both men now talking about “nuclear buttons” and openly hinting at the prospects of carrying out a preemptive first strike against the other. The first thing to remember is that Trump is dead serious (pun intended) about his desire to “Make America Great Again”, and that he will stop at nothing to see his vision fulfilled in the future, including if he has to use nuclear weapons to make it happen. Normative objections like arguing about how “terrible” and “evil” this is have absolutely no effect on Trump, who has come to be the literal embodiment of the “Mad Man Theory” and cares nothing about such concerns, ruthlessly viewing the world through a Neo-Realist prism where everything revolves around power. If there’s any “emotional” point that would give Trump pause to think, then it’s about the lives of the nearly quarter-million Americans (including servicemen and their families) living in South Korea who could easily be killed in the opening days of a Korean Continuation War, and this is the only reason why Trump has yet to use nuclear weapons against North Korea. Right now the President whose opponents label as a “heartless psychopath” is actually very concerned about the moral responsibility that he would have to forever shoulder in potentially sacrificing so many Americans, but if he ever surmounts his conscientious objections to this or is misled by the “deep state” into believing that North Korea is in the imminent process of launching its own preemptive strike (or is provoked by the military to already do so), the he might “make peace with himself” in the “comfort” that “only” 250,000 Americans had to die (notwithstanding the millions of Asians that he doesn’t care about) in order to “Make America Great Again”. Brutally speaking, the only real consequence that the US would suffer from nuking North Korea is the death of its South Korean-based compatriots as “collateral damage”, and the possibility of a Chinese military response to America’s brazen bombing(s?) could be avoided if Washington provokes Pyongyang into striking first because of Beijing’s previous pledge not to intervene if its wayward “ally” is the one most directly “responsible” for reigniting hostilities. Accepting that the US would quickly emerge as militarily victorious in this conflict, it’s now time to examine how the destructive consequences of nuking North Korea would actually “Make America Great Again” from Trump’s “Kraken”-like Neo-Realist perspective. 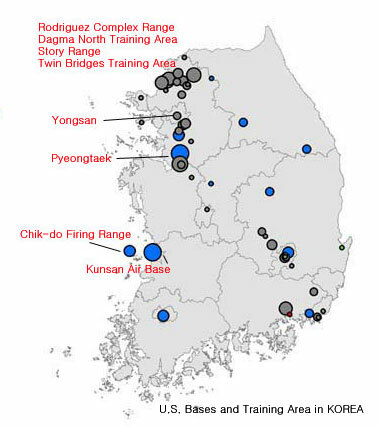 To begin with, almost all of North Korea’s territory could be rendered inhospitable depending on the scale and scope of the US’ nuclear arms use, thus turning it into the ultimate “buffer zone” and thereforr making the decades-long question of whether the (now-former) country would be occupied by Chinese or American-South Korean troops after a speculative continuation war moot. Secondly, the atmospheric aftereffects of America’s nuclear weapons use are difficult to precisely predict and should be left to more competent experts to comment upon in detail, but it can confidently be presumed that this would affect South Korea, Japan, China, and Russia, up to and including making some of their territory also inhospitable. Not only that, but Seoul and even Tokyo could be wiped out if Pyongyang is successful in nuking them in its final moments, and even if they’re not destroyed, then the resultant nuclear atmospheric damage to South Korea and Japan would devastate these once-strong Asian economies and reduce them to uncompetitive “Third World” states. The same can also happen to a large chunk of China in its rustbelt “Manchurian” region of the Northeast, as well as the base of Russia’s Pacific Fleet and its “Window to Asia” in Vladivostok, though the exact consequences are again subject to the atmospheric ramifications resulting from the scope and scale of any speculative American nuclear bombing of North Korea. One of the relevant tangential developments that could unfold is that China’s domestic agricultural industry could collapse, and this could combine with the widespread fear resulting from the nearby radioactive panhandle to produce unpredictable socio-political consequences in the People’s Republic. Furthermore, the nuclear destruction of North Korea and the attendant apocalyptic aftereffects that this would have for Northeast Asia would for all intents and purposes remove each of these victimized nation-states from the geopolitical game except for perhaps Russia, seeing as how they’d all be wreaked with internal turmoil in dealing with the long-term radioactive fallout of what happened, thus restoring the US to its immediate post-World War II “glorious” position in recapturing the majority of the global economy and literally “Making America Great Again”. It’s precisely this “reward” that is so tempting to Trump and why his finger is itching to press the nuclear button, but then again he’s still held back by the thought of the quarter-million American lives that might have to be sacrificed as a result, though he might “console” himself with the “excuse” that this was “necessary” in order for the remaining 320+ million to “rule the world”. As for the millions upon millions of Asians who would surely die in this scenario, Trump would “rationalize” it by convincing himself that he was taking North Korean “slaves” “out of their misery” and that all the others who allowed Kim Jong Un to “get out of control” and launch what the Pentagon might provoke to be Pyongyang’s first strike “deserved it”, shedding all personal responsibility for this by claiming that he “inherited an impossible mess” from his hated predecessors who already made its dynamics “irreversible” and therefore its conclusion “inevitable”. The only realistic chance that Trump can be stopped from nuking North Korea in the event that he “gets over” the potential deaths of a quarter-million Americans (considering that the deaths of Asians aren’t anything that he cares about) and/or is misled into thinking that North Korea is on the cusp of launching its own imminent first strike (or was provoked into doing so) is if Russia and China convey the message to the US — whether openly or discretely — that they will respond with nuclear weapons if Washington dares to use them. This brinksmanship would be very dangerous because there’s no telling whether Kim Jong Un would introduce nukes into any forthcoming conflict first, though from Pyongyang’s perspective it would have to in order to ensure its survival or “go out with a bang” like it’s been threatening, resultantly giving the US a semi-“plausible” right to respond in kind, albeit much more disproportionately. However much some people may wish, it is unlikely that Russia and/or China would go to nuclear war against the US over North Korea, especially in the event that Pyongyang used nukes first (whether justifiably or not), and in spite of the long-term radioactive fallout that could devastate their two countries (China much more so than Russia in this case). In addition, it can be assured that any US nuclear (counter-)attack against North Korea would be preceded by the scrupulous monitoring of all Chinese nuclear assets “just in case”, meaning that Washington would be on “red alert” to nuke China if Washington thought that Beijing was about to bomb its overseas bases or homeland in preemptive response for the deadly radioactive future that the US would be giving it, thus representing an unimaginably dangerous situation fraught with the risk of even the smallest misstep leading to a nuclear war between the US and China and further diminishing the chance that Beijing would strike back. All in all, Trump is proving himself to be the consummate risk-taker who’s not afraid to up the stakes in any situation, and a thorough read of his personality proves that he wouldn’t shy away from using nuclear weapons against North Korea, deeply believing that it’s the key to “Make America Great Again” even if this would run the chance of a nuclear war with China too. Trump is a modern-day Machiavelli who doesn’t care about morals, ethics, and principles when it comes to advancing his country’s grand strategic interests on the world stage, but it’s because of the little bit of “humanity” that’s still left within him in caring about the fate of a quarter-million Americans that he has yet to push the nuclear red button that’s sitting so tantalizingly close on his desk.